UPTET Syllabus 2019: The Uttar Pradesh Basic Education Board (UPBEB) will conduct the Uttar Pradesh Teacher Eligibility Test after complete the UPTET Application Form process. The Exam will be organized in the upcoming months. So candidates who are interested and eligible in the UPTET Recruitment can start their exam preparation with the help of UPTET Syllabus 2019 in Hindi for the Paper-1 and Paper-2. The UPTET written exam will have two papers for the Class 1st to 8th. All the participating candidates will thoroughly know the UPTET Paper 1 Exam Pattern before they begin with their exam preparations. Latest Update: UPBEB is going to conduct the UP Teacher Eligibility Test 2019 in the upcoming months. Applied candidates can check the Uttar Pradesh TET Syllabus 2019, exam pattern from here. With the help of UPTET Paper II Exam Pattern, (डाउनलोड यूपीटीईटी परीक्षा पैटर्न) candidates can understand and get an overview of the final paper. The Uttar Pradesh Education board will conduct the two papers for the Teacher Jobs. The Paper-1 will be conducted for the Class 1st to 5th and Paper-2 will be organized for the class 6th to 8th. Applicants can check all details about the subjects, topics, syllabus and exam pattern from here. Interested candidates follow this given table which consist the all Subjects and their each topic details which will be important for the Exam Question Papers. Applicants can start their exam preparation through the Uttar Pradesh Teacher Eligibility Test Syllabus. Personality: Concept and types of personality, Factors responsible for shaping it, Its Measurement. Understanding diverse learners: Backward, Mentally retarded, gifted, creative, disadvantaged and deprived, especially able. For the written exam, candidates needed the exam syllabus and pattern. 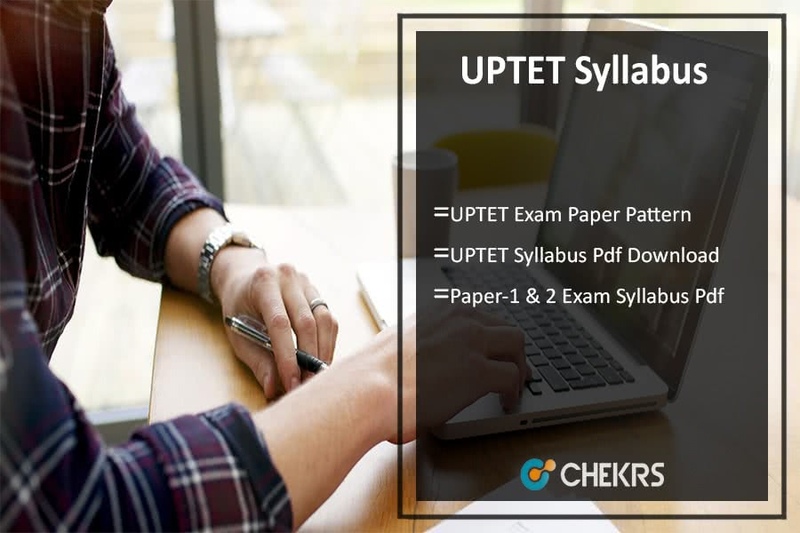 Candidates can check and download UPTET Syllabus 2019 PDF from here. To receive more update on Uttar Pradesh TET Exam Pattern from our web portal www.jobs.chekrs.com. In the case of any query or review, you can leave your comments in the commenting box. We will revert you in a short while.